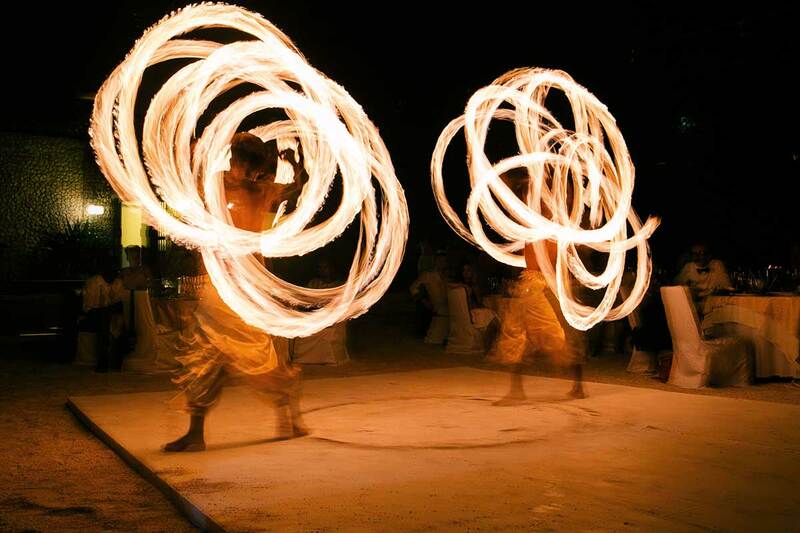 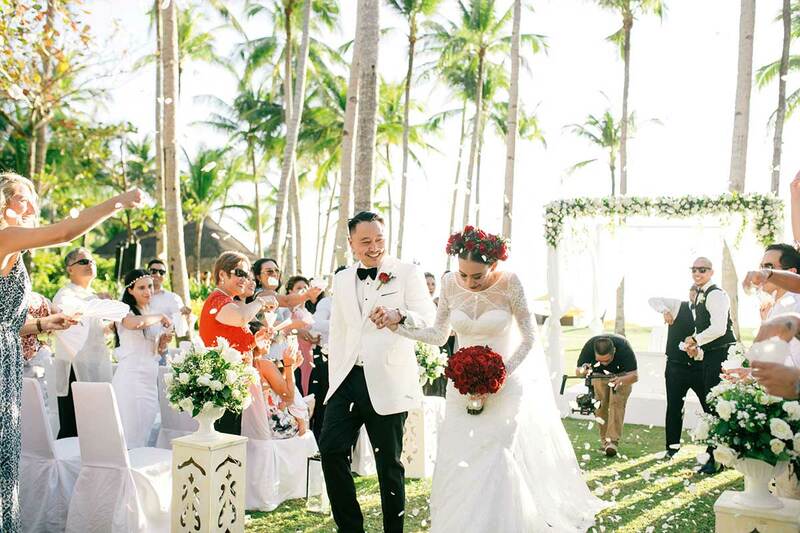 THE ISLAND OF BORACAY was always going to play a leading role in the union of these stylish sweethearts. 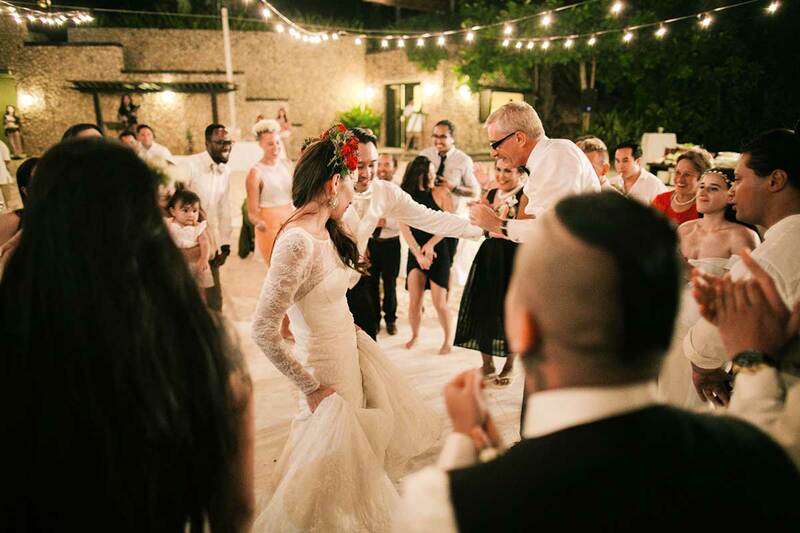 “From the very moment we were engaged, Jeff and I knew we wanted to get married in our motherland, the Philippines,” explains Emma Rose. 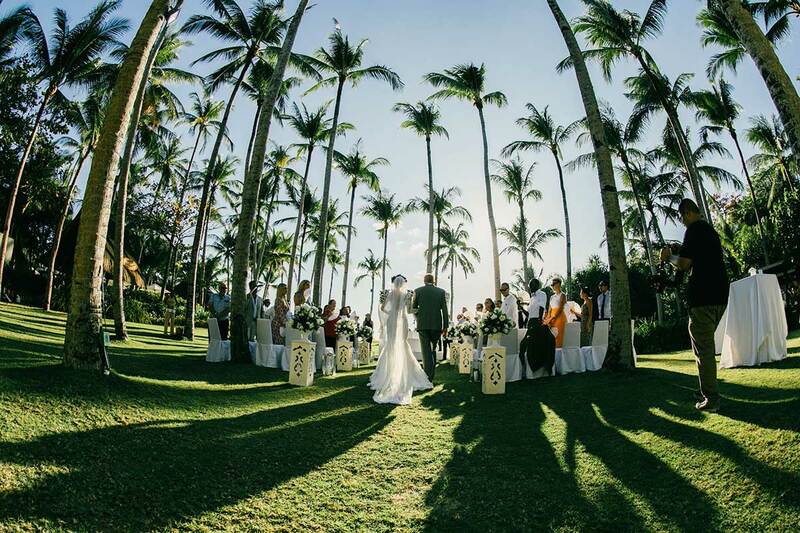 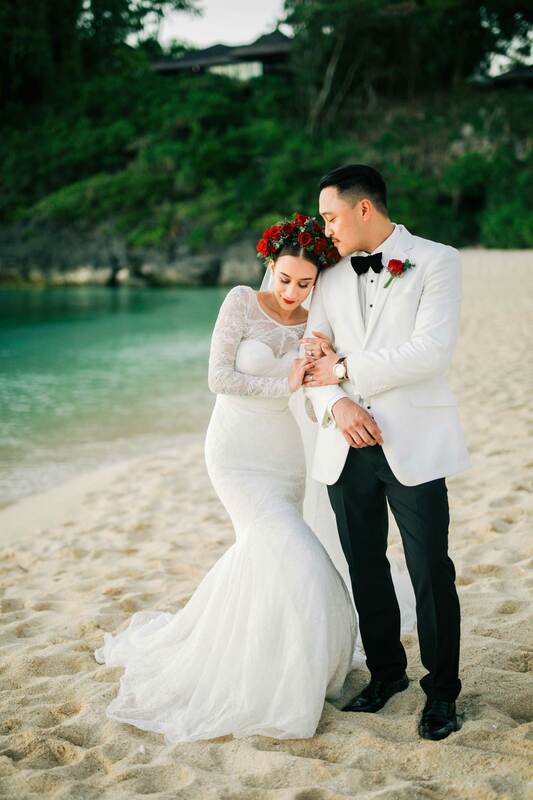 “Out of the 7,107 islands that make up this beautiful country, Boracay was the one for us – and there was only one place on this little island that we wanted as the backdrop for such a special moment.” That place was the Shangri-La’s Boracay Resort & Spa, a tranquil haven surrounded by pristine waters. 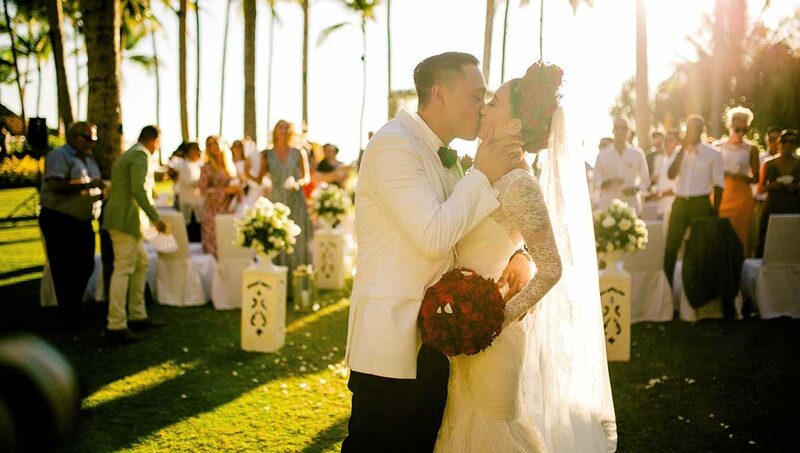 “Although we had the perfect setting, we didn’t want a typical beach wedding,” reveals the bride, whose long-sleeved Zac Posen gown was inspired by the elegance of Grace Kelly on her wedding day. 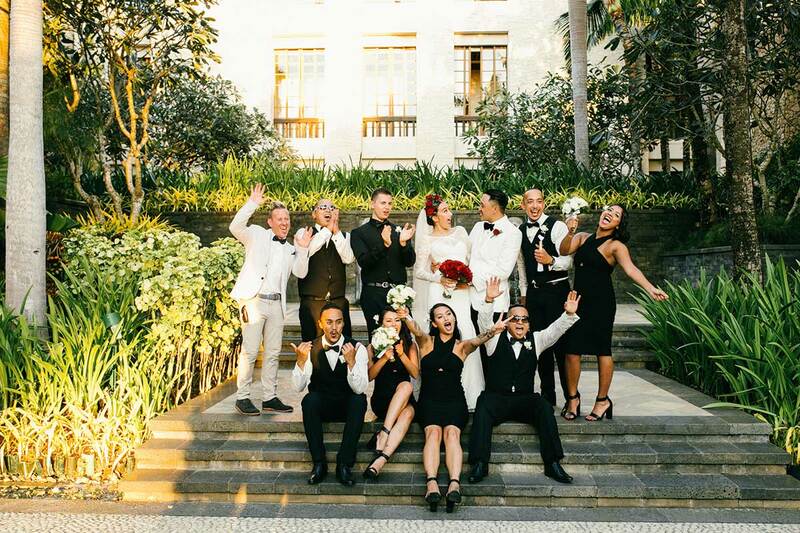 The ivory-clad groom and a bridal party in sophisticated black enhanced the classic feel, while the bride’s eye-catching red rose headpiece (organised by the Shangri-La’s florist) was an inspired finishing touch. 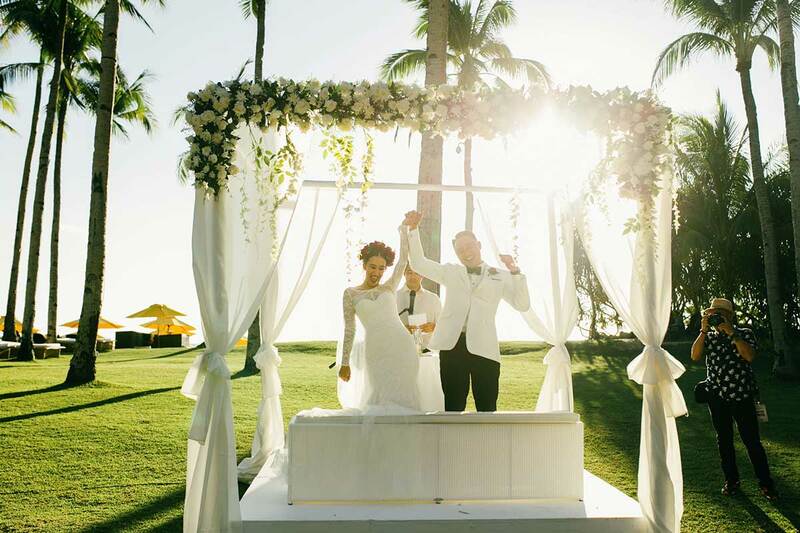 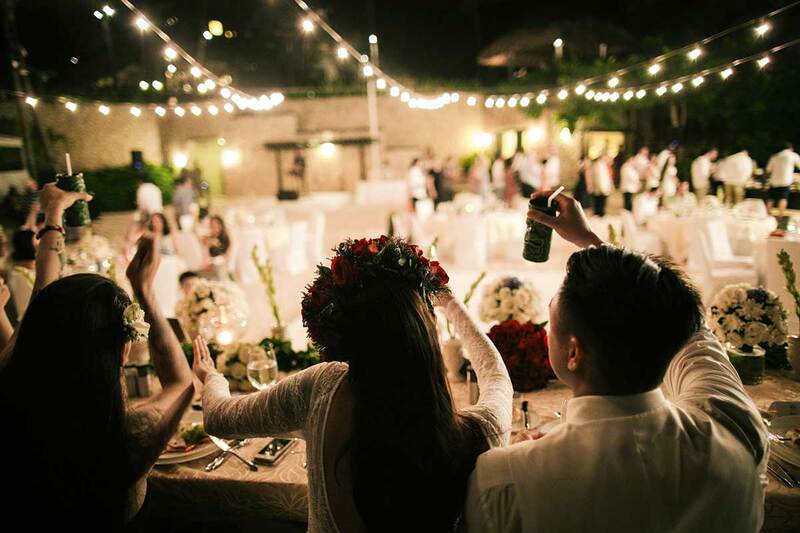 Personal touches for this pair of music lovers included reception tables named after influential recording artists, and a signature ‘El Segundo’ cocktail made with Filipino rum and fruit juice.